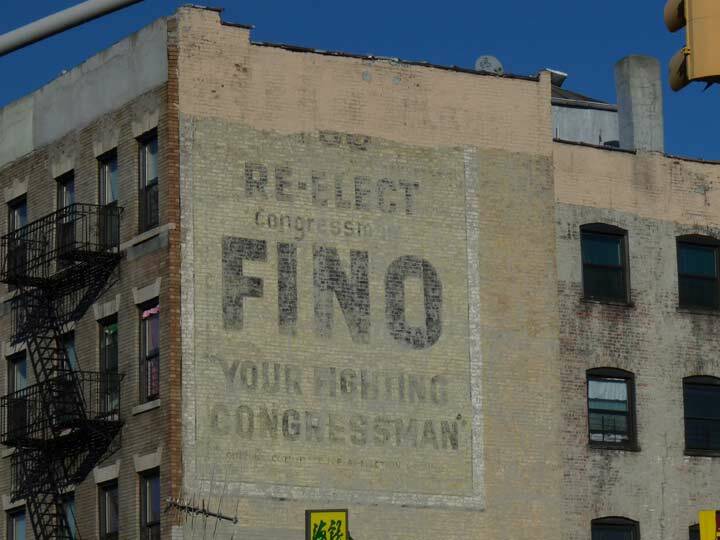 I’ve discovered another painted ad for US Rep. Paul Fino, which is in rather better shape than the previous one I found in Morris Park a few years ago, on Crotona Avenue and East 183rd Street in Belmont. Fino (1913-2009) was elected to the State Senate from 1946-1950 and elected to Congress in 1952, where he served 8 terms, and then the State Supreme Court in 1968. 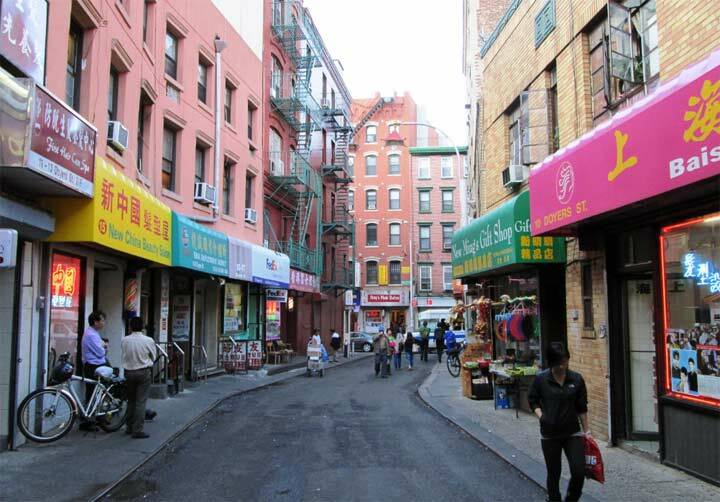 A usually conservative though sometimes moderate Republican, Mr. Fino had a hard time swallowing what he considered the Manhattan-style elitism of [John V.] Lindsay, who was mayor from 1966 through 1973. His needling of the mayor resonated with the [then] mostly Italian and Irish working-class homeowners in what was then the 25th Congressional District in the Bronx. He represented them from 1953 to 1968.